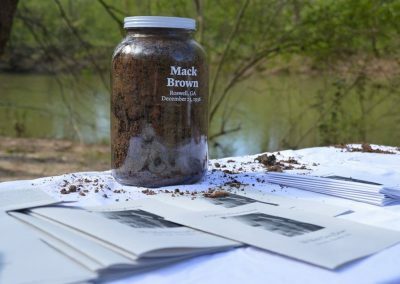 On the evening of November 13, 1936, Mack Henry Brown, a black man who worked as a janitor in an apartment building on Piedmont Road, disappeared. 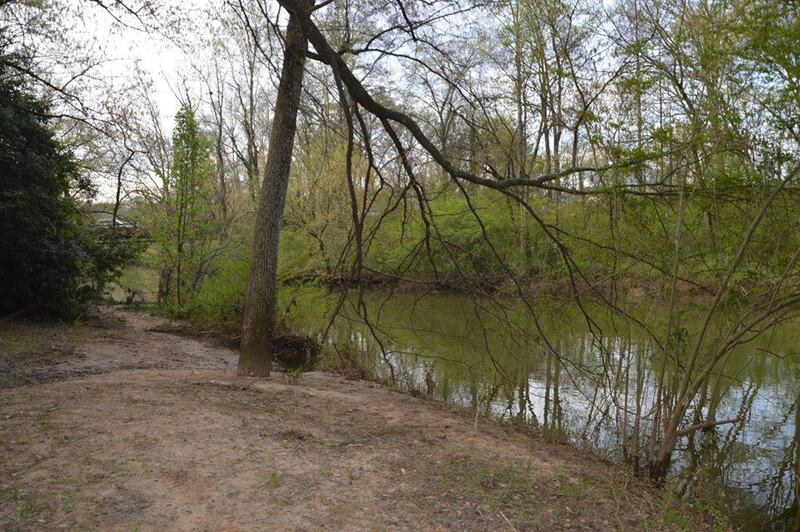 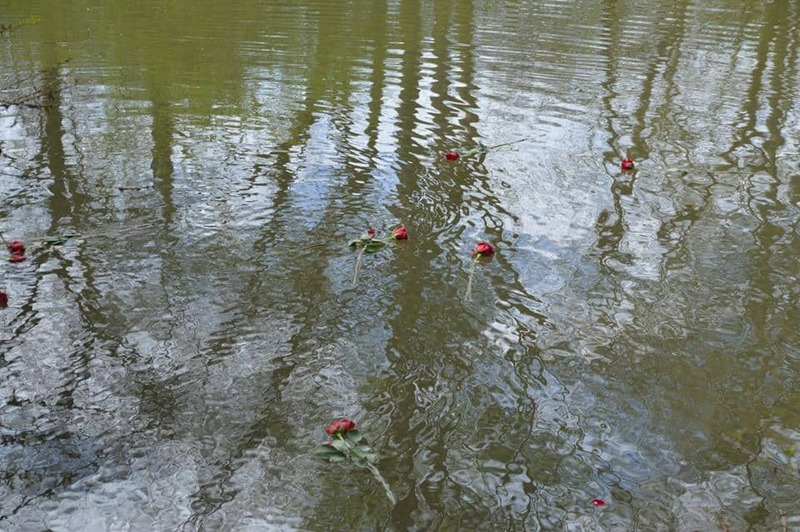 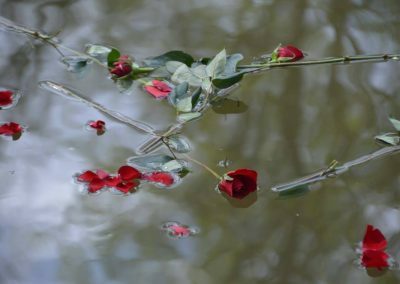 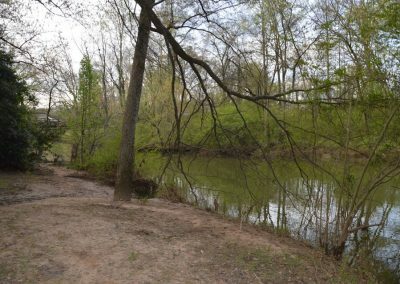 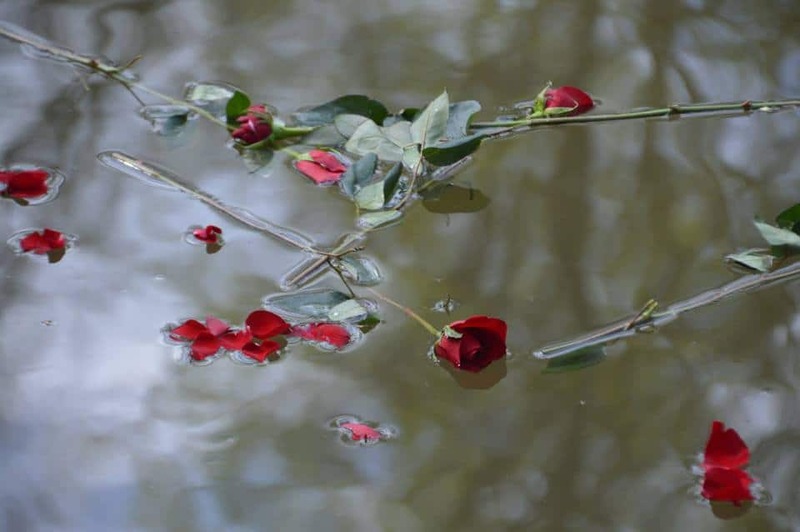 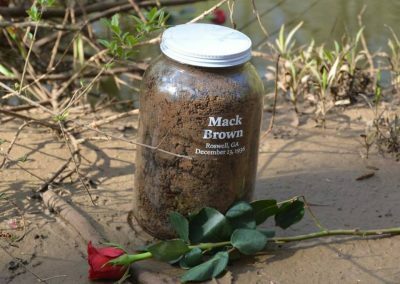 More than a month later, on December 23, his body was found washed ashore from the Chattahoochee River, where Roswell Road crosses it. 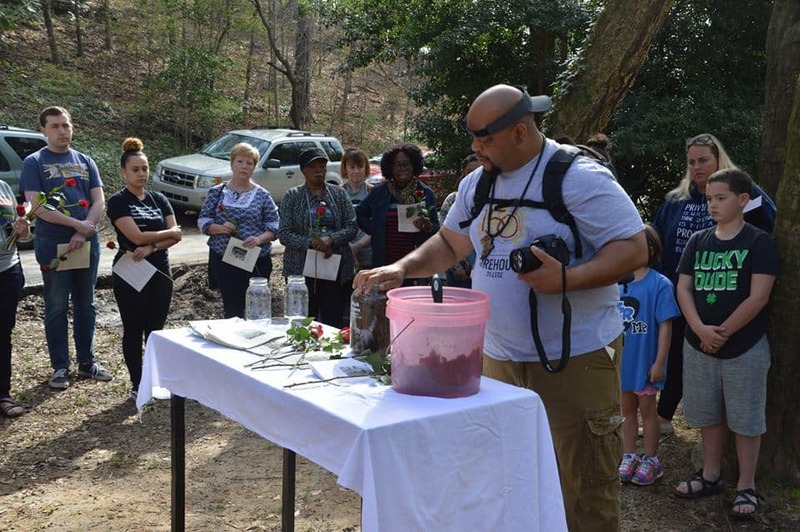 His neck was broken, he was shot two times, and his body was handcuffed and bound at the feet. 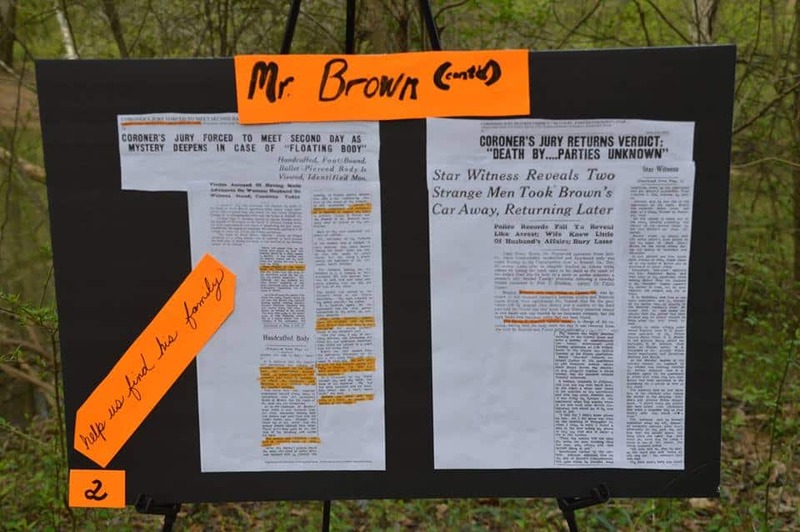 Mr. Brown was tortured and killed because he allegedly touched the hand of a white woman in an apartment in which he was working. 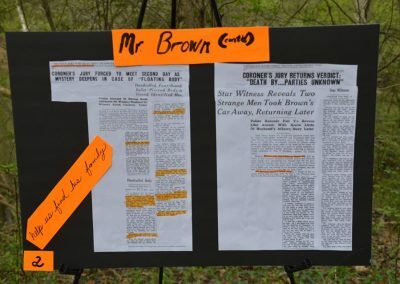 No one was ever arrested or charged with his murder. 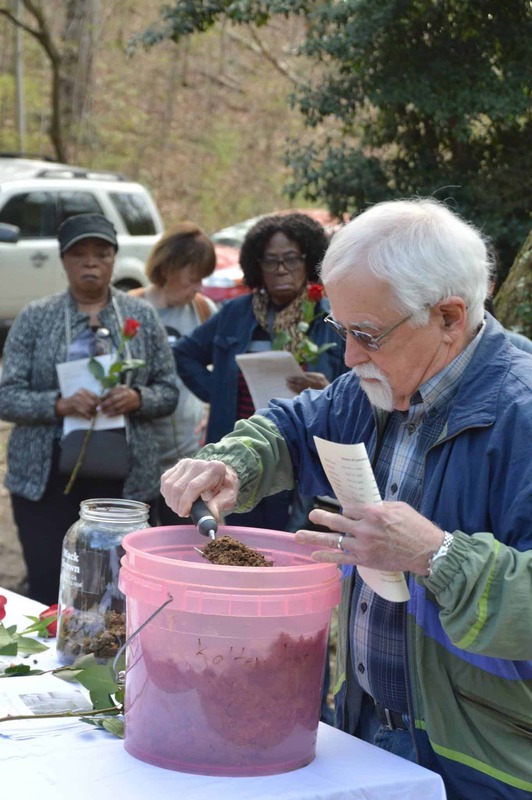 Those who died at the hands of white terrorists, who knew they would not be punished for their crimes, have been largely forgotten by history. 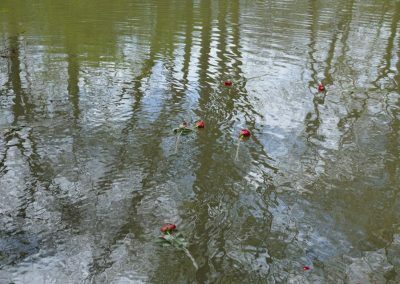 But that is changing. 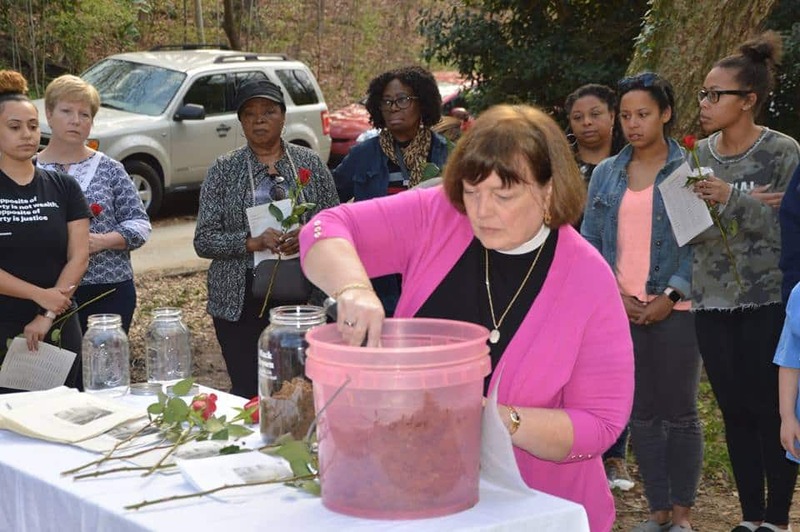 The Equal Justice Initiative, headquartered in Montgomery, Alabama, is working to recover the memories of those who were lynched. 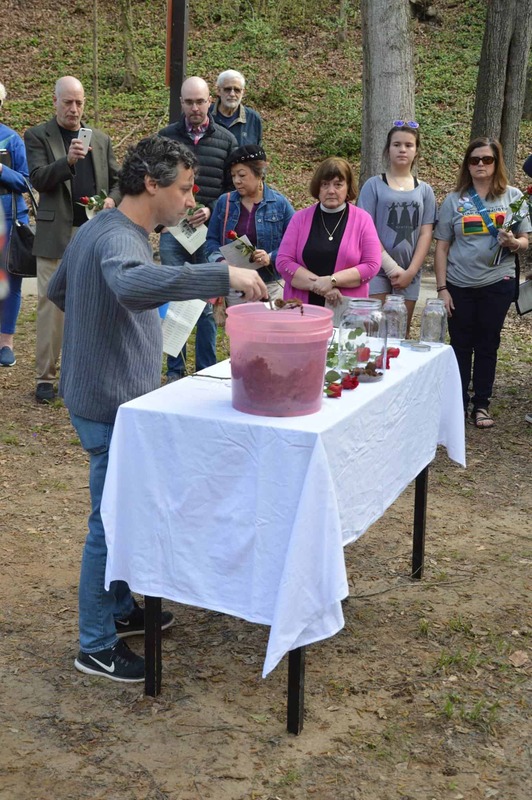 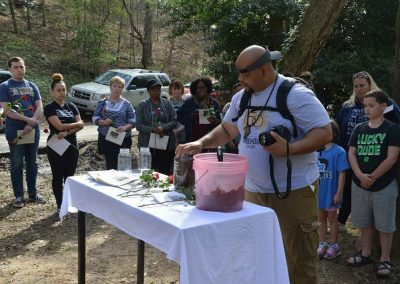 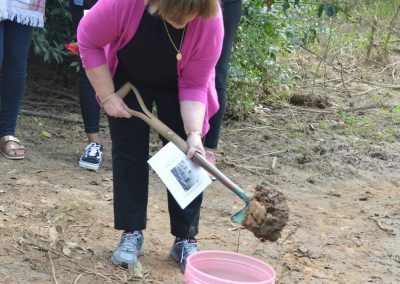 Saturday, March 30, we gathered at the site where Mr. Brown’s body was found for a short service of Remembrance and Repentance. 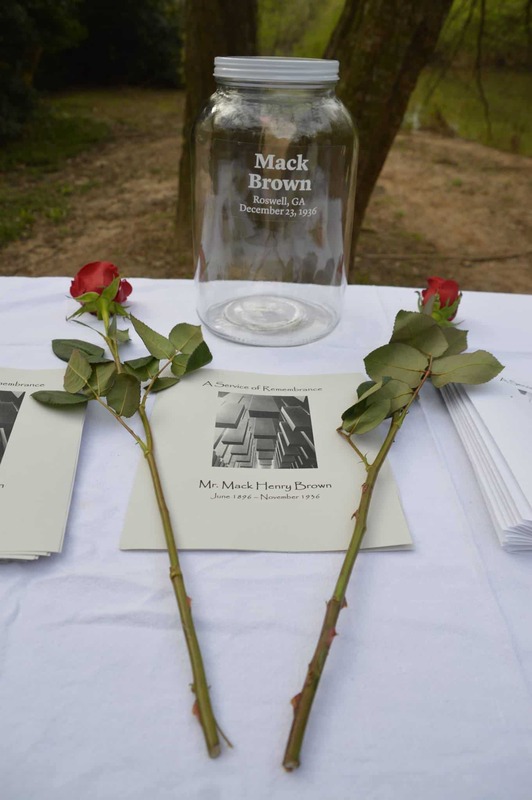 We remembered Mr. Brown and repented of the sins of his torture and murder. 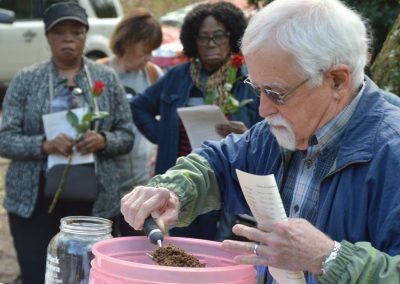 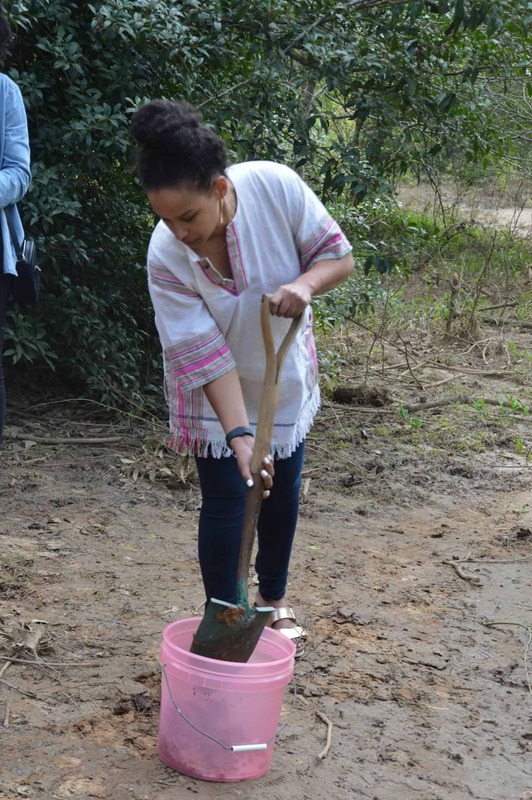 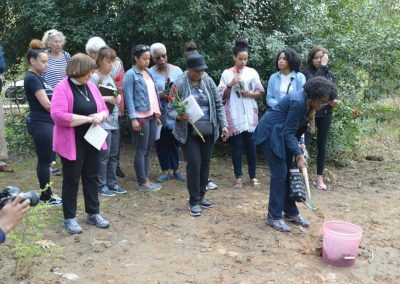 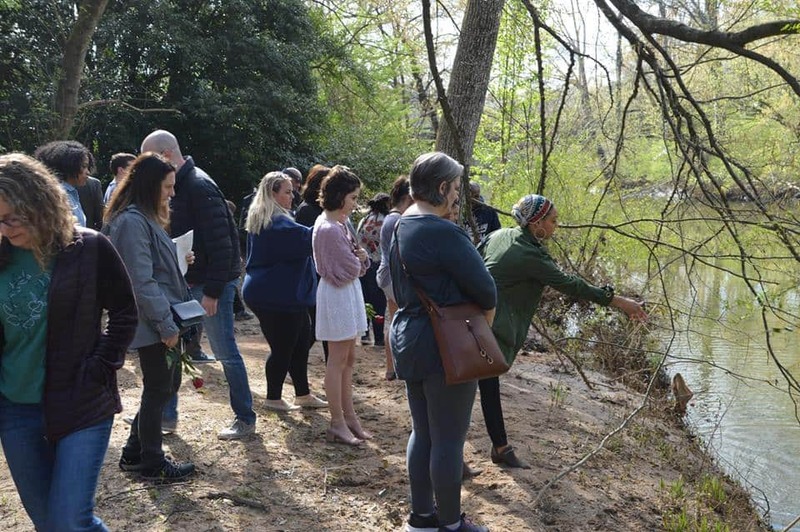 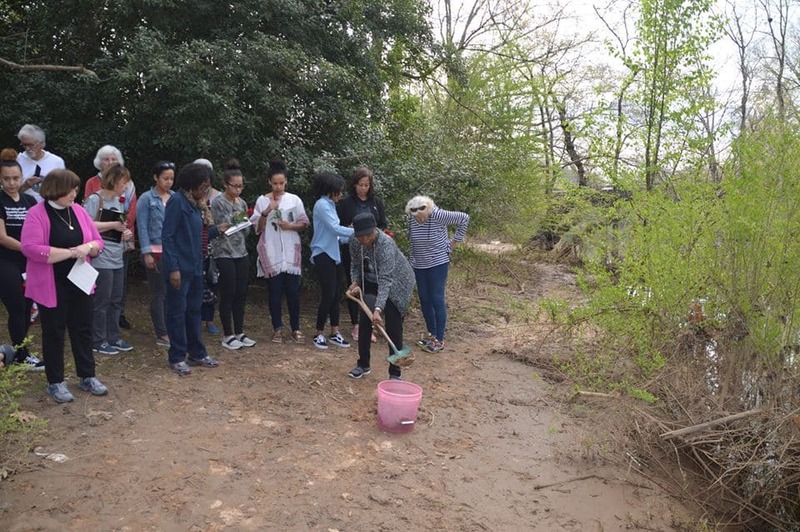 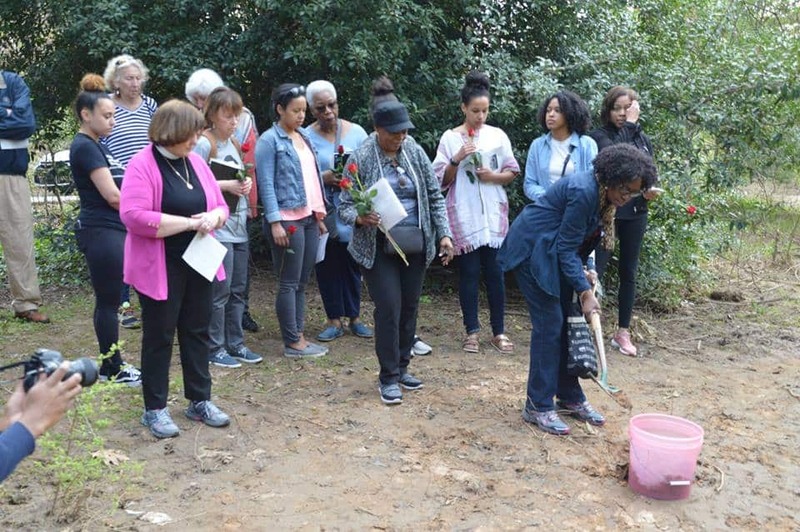 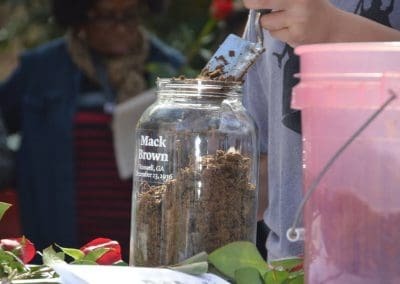 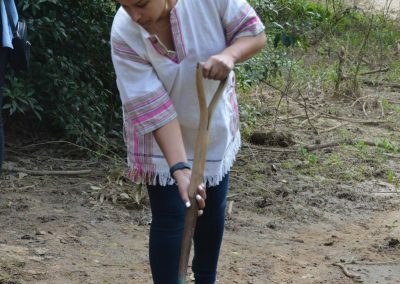 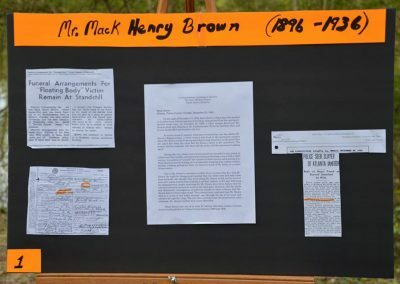 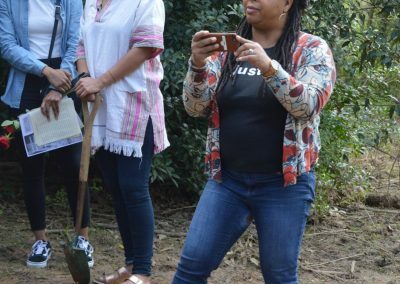 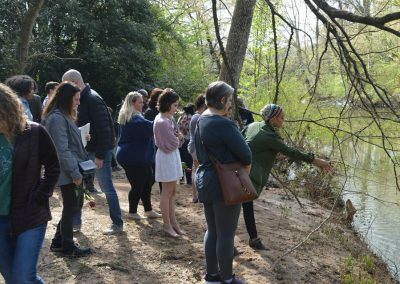 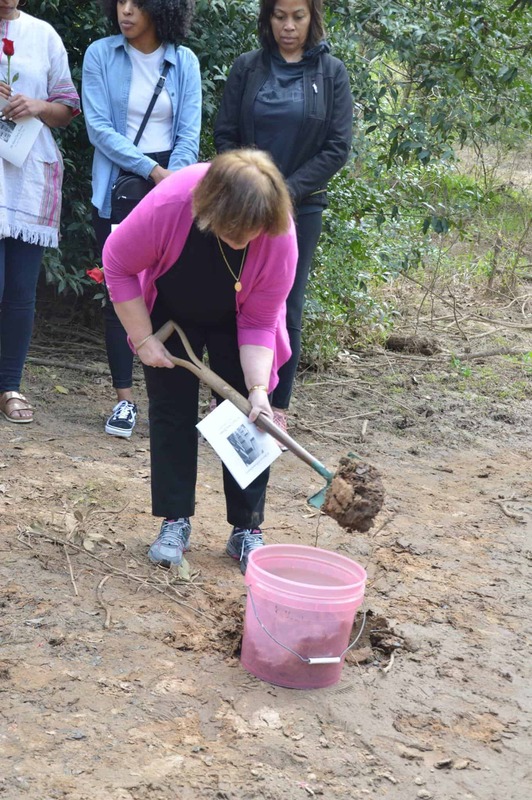 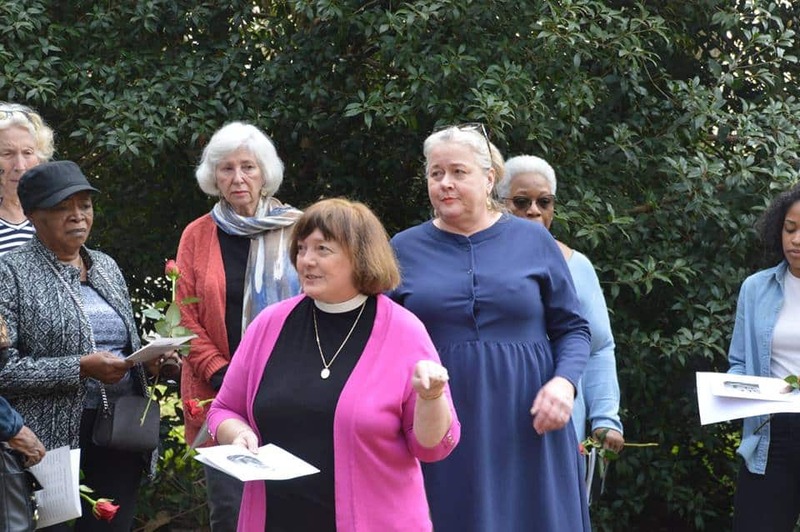 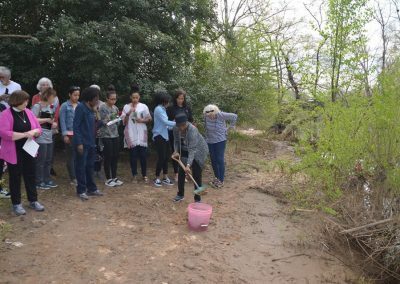 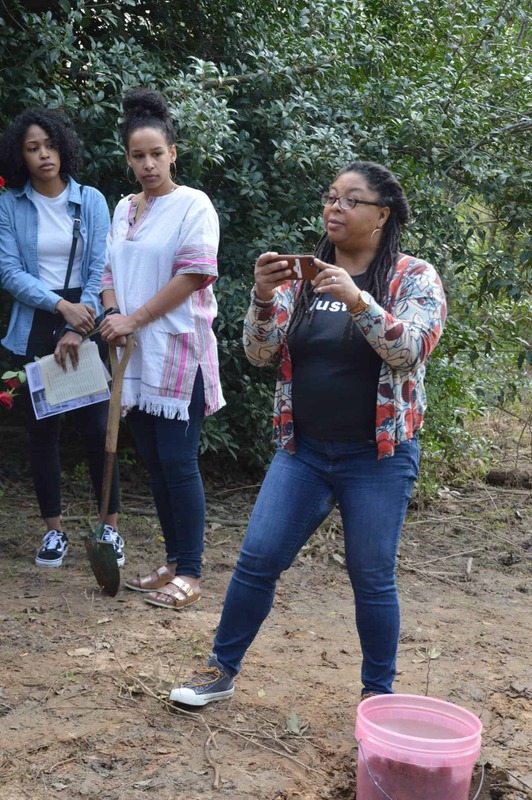 Dirt from that sacred ground will be on display at the Auburn Avenue Research Center, along with dirt gathered at other lynching spots around the county. 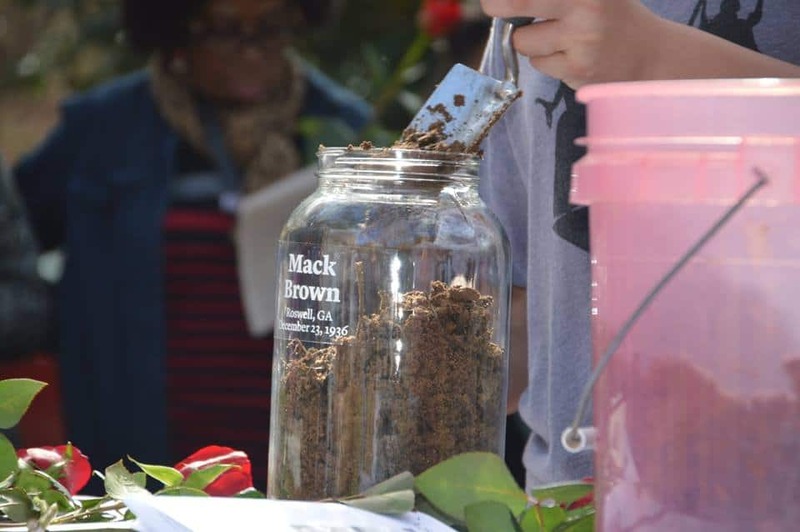 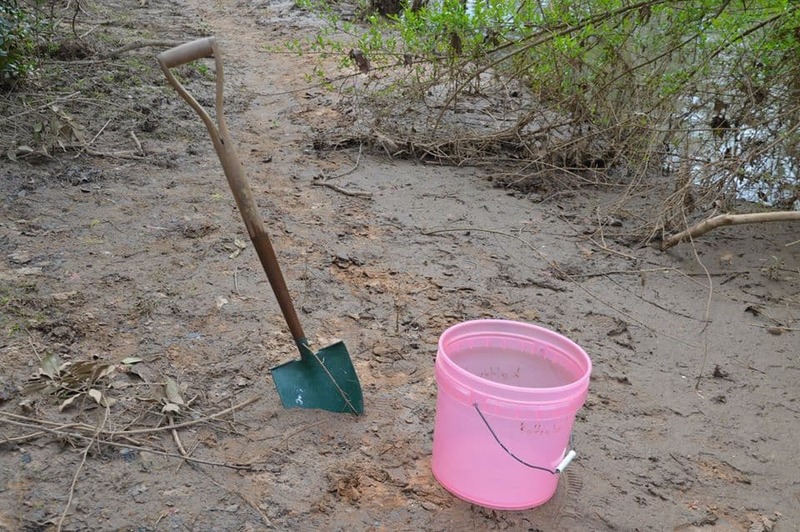 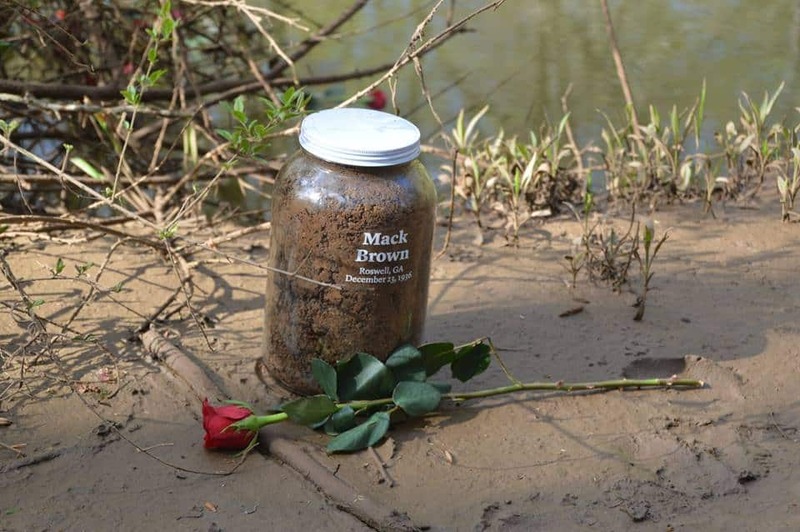 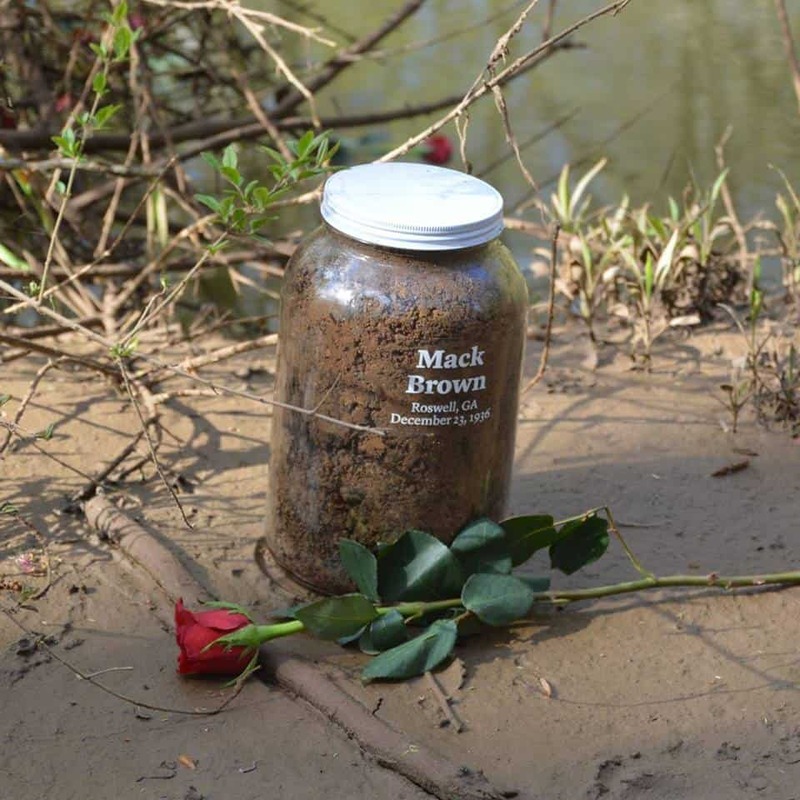 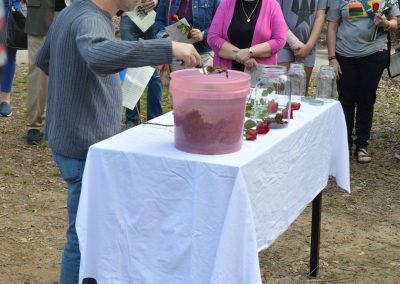 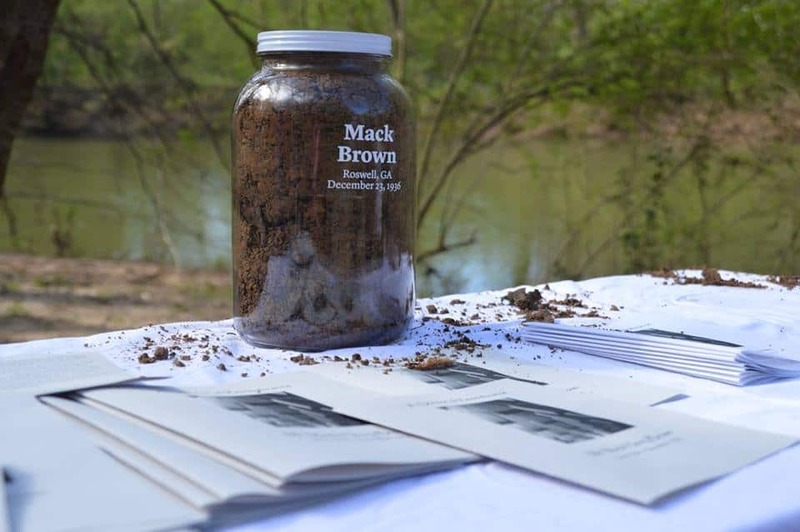 A jar of the dirt may also be put on display at the museum in Montgomery. 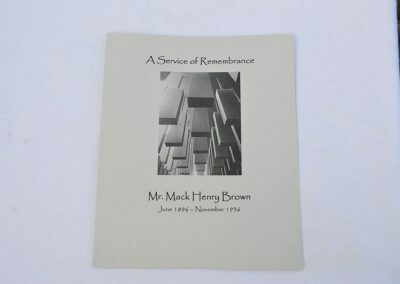 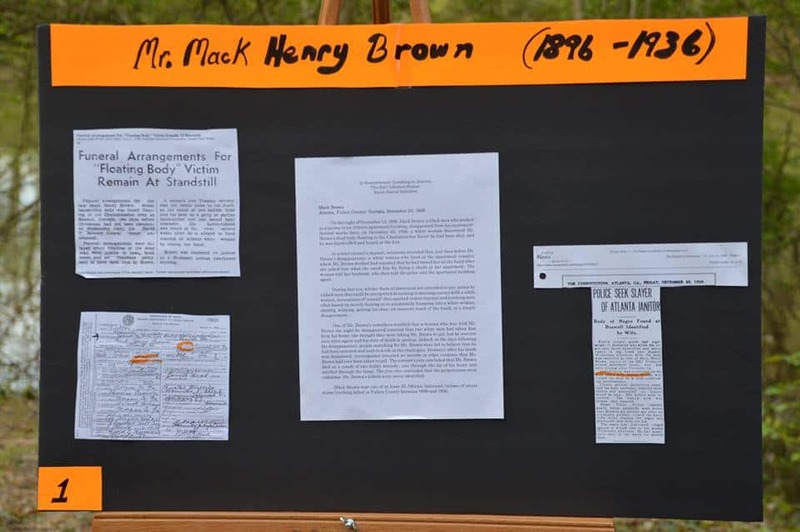 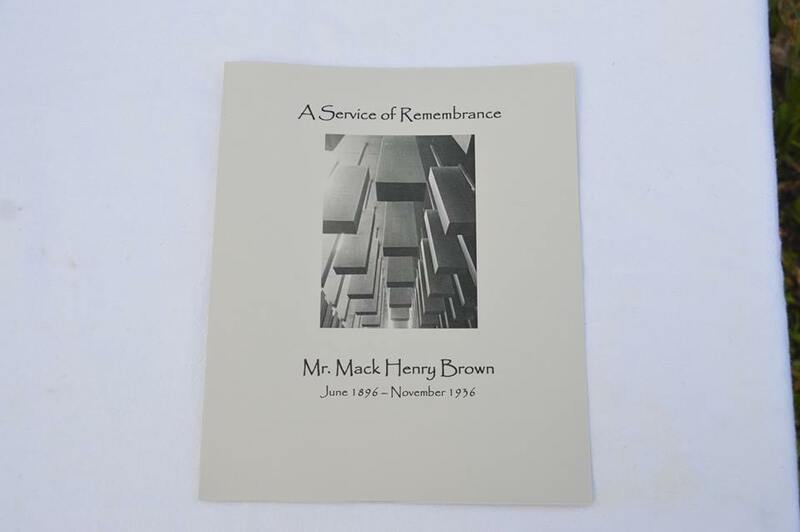 Lord, we remember before you today your servant Mack Henry Brown. 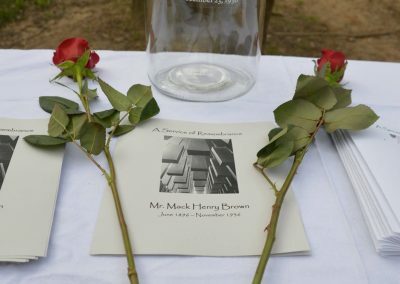 We remember his wife, family, friends, and all who grieved for him and lived in fear that they, too, might become victims of violence and terror. 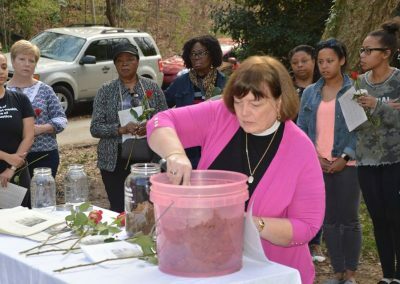 We remember all other victims of lynching and racial terror in Fulton County and throughout Georgia. 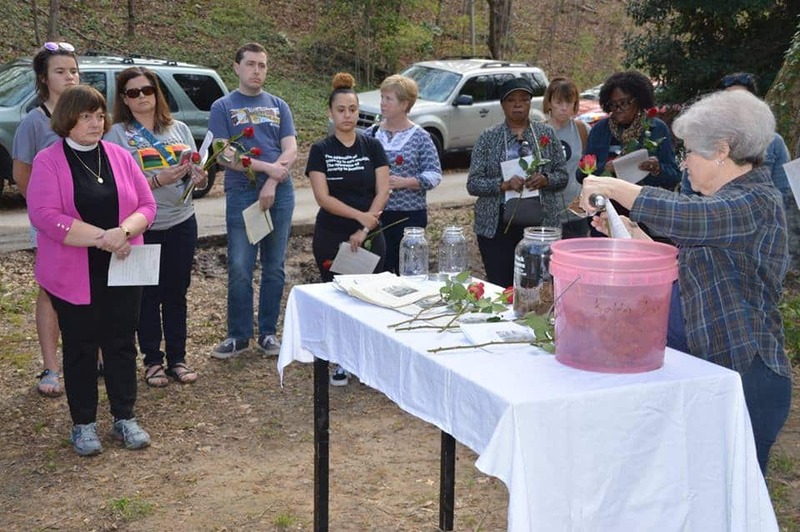 We remember the thousands killed across the South and the nation, the generations of black people terrorized, and the legacy of suffering and injustice that haunts us all. 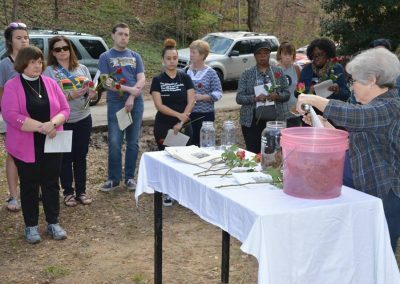 We repent of the evils of racism, violence, and white supremacy that continue to plague this nation. 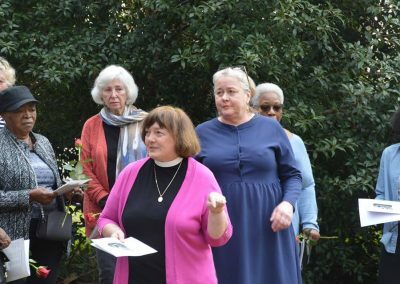 May we never grow weary in the fight for justice for all God’s people. 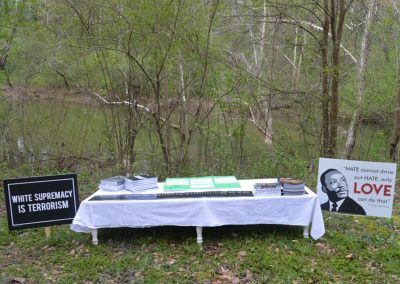 Because hopelessness is the enemy of justice. 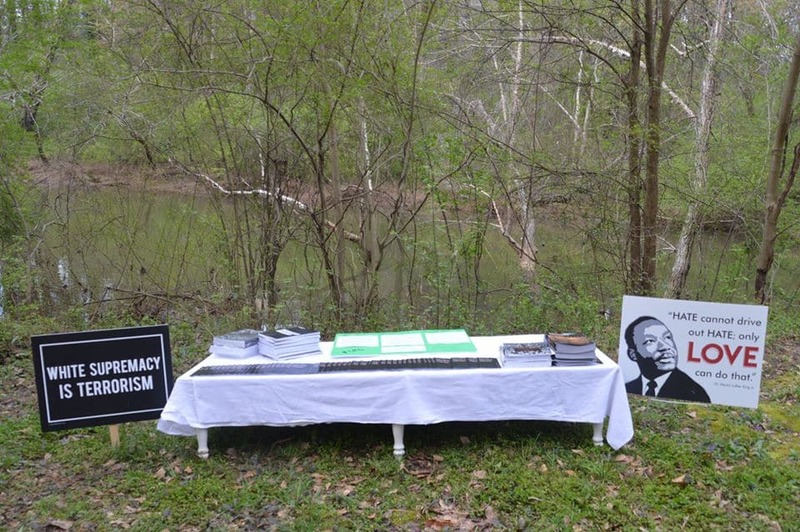 Because justice is a constant struggle.